eNerds couldn’t be happier to be partnering with Codicote, a boutique company of construction professionals who offer construction advice, construction planning and client project management services. Currently based Australia-wide and having recently branched out internationally. The boutique nature of their business means the only work with a select number of clients and the focus is on their commitment to you. 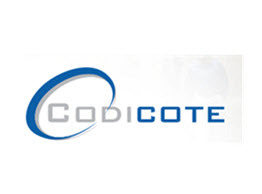 Codicote will be utilizing our comprehensive Managed Support Plan, including Workstation, Server & Cloud Management as well as eNerds Dedicated Tech Ops Coordinator and unlimited remote & onsite support. Welcome to eNerds, Kora Organics! 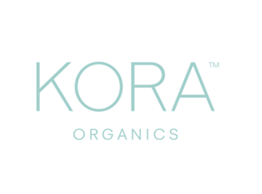 eNerds couldn’t be happier to be taking on support and consulting for Kora Organics, Miranda Kerr’s award winning range of certified organic and natural products. Having launched in 2009 in David Jones stores in Australia, Kora Organics has now expanded from 38 stores into over 300 retailers across Australia, and worldwide through online channel koraorganics.com. Kora will be utilizing our comprehensive Managed Support Plan, including Workstation, Server & Cloud Management as well as Unlimited remote & onsite support for their office. eNerds has become one of Microsoft’s most highly accredited independent technical support providers by reaching Gold Certified Partner status this month. Gold Partners have reached the third and highest level of partner status and get access to numerous benefits including advanced technical support from experienced Microsoft technicians. We achieved this level of support through our technical credentials, passing several exams and assessments as well as submitting customer references on successful projects. eNerds has ranked among the world’s most progressive 501 Managed Service Providers (MSPs), according to MSPmentor’s 10th-annual MSP 501 Worldwide Company Rankings. The top MSP 501 companies ranked this year include organizations from around the world and from diverse technology and business backgrounds. eNerds has also achieved a top 10 ranking amongst IT Providers in Australia and New Zealand. 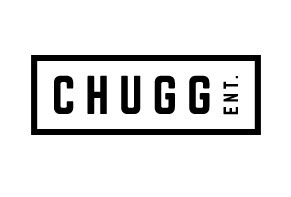 Welcome to eNerds, Chugg Entertainment! eNerds are excited to take on the challenge of supporting industry leading entertainment business Chugg Entertainment. Founded by industry pioneer Michael Chugg, they have toured hundreds of major international acts including Dolly Parton, Coldplay, Radiohead, Elton John, Pearl Jam, Robbie Williams, Florence + The Machine and many more and continue to search for new, up and coming talent to build into the next generation of arena and stadium level acts. Chugg Entertainment also co-promotes major music festivals in Australia and abroad, including St Jerome’s Laneway Festival across seven markets in three countries and CMC Rocks QLD; Australia’s premiere country music festival. They will be utilizing our comprehensive Managed Support Plan, including Workstation, Server & Cloud Management as well as eNerds Dedicated Tech Ops Coordinator and unlimited onsite support.